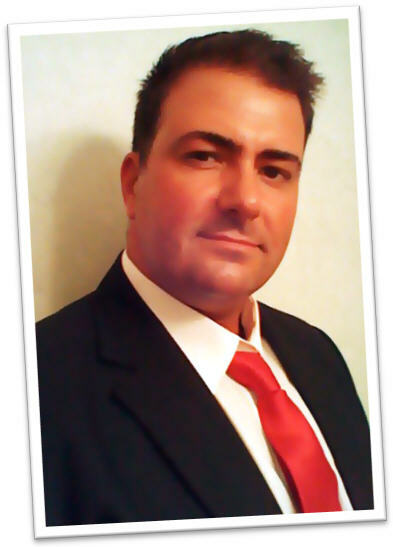 Richard Rost is the owner and president of 599CD Computer Training and Amicron Computing, a small technology firm based in Cape Coral, Florida dedicated to helping people get the most from their computers. A self-taught computer expert, Richard founded Amicron in 1994 to provide custom-built computer systems and related services to the Western New York area. In addition to building computers himself, Richard also offered his customers networking solutions, custom software development, and personalized training solutions to meet their individual business needs. 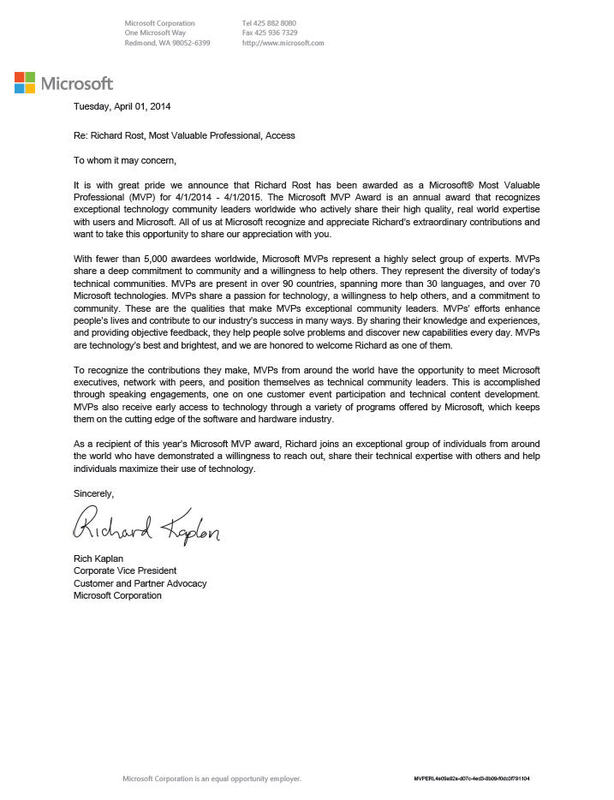 Richard's personal specialty is building database solutions using Microsoft Access. Richard opened his first dedicated Computer Training Center in 1996 in Amherst, NY. Centered around small group instruction, Richard taught classes in Microsoft Windows, Word, Excel, PowerPoint, Web Design, QuickBooks, Photoshop, WordPerfect, and more. What really set Richard's training center apart, however, was the availability of advanced developer-level instruction in Microsoft Access, Excel, and Visual Basic. Plus, Richard developed all of his own training materials from his years of computer experience. As the computer industry changed following Y2K, so did Richard's business. As computers themselves became more "commercialized," and big companies - as they always do - put the squeeze on the smaller ones, Richard decided to stop providing hardware and PC service and focused more on training and consulting. It was during this time that he opened a new, larger training facility in Amherst NY. In addition to the small group training he had offered previously, Richard started holding large seminars and workshops for groups of 20 to 30 students. Taking the seminars yet one step further, Richard began offering his seminars live, online over the Internet in the fall of 2002. They were immediately successful, and Richard was no longer limited geographically to the people he could reach. Thousands of students from around the world signed up for Richard's online seminars. Copies of Richard's Web Seminars are available on his web site, and he occasionally still holds Live sessions for his customers. After teaching live seminars for over a year, Richard Rost developed his highly-refined video tutorials under the very popular 599CD name. Richard wanted to offer his tutorials at a price low enough so everyone could afford them. After much debate and research, he decided on a price of $5.99 for his beginner, one-hour lessons. Since the lessons were initially only available on CD-ROM, the name 599CD just made sense, plus it was a nice, short, available .com domain name. Today, Richard has many different levels of courses available (beginner through advanced) in several different topics. His courses are still available on CD, although the vast majority of his students watch lessons in his Online Theater, or download the videos from his web site. Richard still offers personal and group training sessions, in addition to consulting and software development services (mostly Microsoft Access database design). If you are in need of expert help, contact Richard Rost for assistance. Richard also has a very popular online "TechHelp" page where you can ask him your questions through his Web site, and he replies to you via email. Richard enjoys assisting people from around the globe with their computer questions. 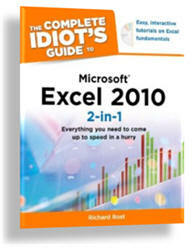 In 2010, Richard authored The Complete Idiot's Guide to Microsoft Excel 2010 published by Alpha Books (a division of Penguin Books). This is his first professionally "published" book. In October of 2013, Richard moved to Cape Coral, Florida. 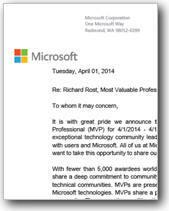 In April of 2014, Richard was selected for the Microsoft MVP Award (Most Valuable Professional). It's such an honor to be part of this elite group of experts. There are only about 4000 people in the world with this designation, and he is ecstatic about joining them!